Chinese rescuers prepare to enter the Hengtai coal mine on 24 August, a day after an accident left dozens of miners trapped. Beijing (CNN) -- Workers pulled to the surface 19 miners from a flooded mine in northeast China's Heilongjiang Province early Tuesday morning, bringing the total number of rescued miners to 22, state media said. Crews continue to look for three other miners. The Hengtai coal mine flooded on August 23 when miners mistakenly drilled into a neighboring mine that was flooded, the Xinhua news agency said. Water surged in, endangering the lives of 45 miners who were inside. Nineteen escaped, three were rescued Saturday, and the body of a dead miner was brought to the surface early Sunday. Rescuers drilled a 900-foot-deep hole to make contact with the miners and pumped more than 130,000 cubic meters of water, Xinhua said. Early Monday, they reported hearing "knocking sounds." They lowered relief supplies including food, a lamp, pen and paper -- and something shook the rope to which the package was tied, Xinhua said. Encouraged that the trapped miners were still alive a week into the mishap, crews worked feverishly to reach them. Early Tuesday, 19 miners were lifted out of the mine. 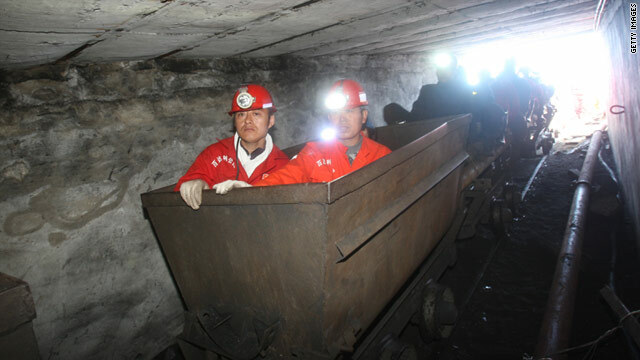 Hengtai mine is one of many operating illegally, despite government attempts to shut down outdated mines, Xinhua said. The mine was ordered closed in 2007, but the owner reopened the mine without permission earlier this month, the news agency reported, citing the local work safety bureau. Two officials have been fired over the incident, state media said. CNN's John Dear contributed to this report.